For the past three years Blog On has been up there in the highlights of my blogging life. At the end of the Conference in May Laura announced there would be a second conference this year and I bought myself a ticket as soon as they were released. Much like the past 3 conferences we took over the top floor of MSI Manchester which is a really great space as it has a large lobby area with a number of smaller rooms for sessions as well as a large room which can be subdivided. While I was in the queue my eyes were drawn to the Small Man Media table which was filled with some extremely exciting products. Nu Notebooks and Sheaffer Pens as well as other exciting products. I left them with a bag full of exciting products which I think deserve their own post but this table made my day. 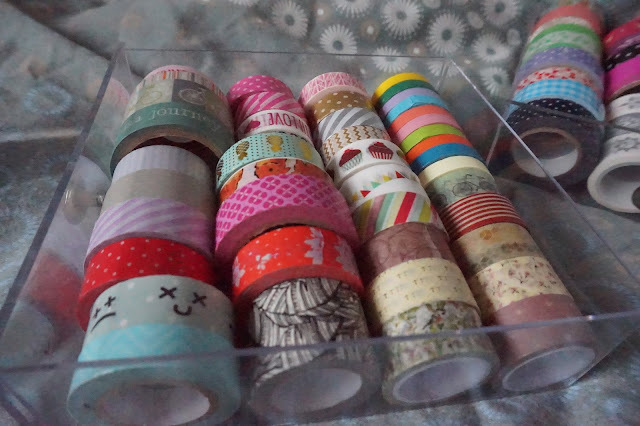 Small Man Media are also the team behind National Stationery week which might be my favourite week of the year! Matalan also had a team and I won a the pair of mens brogues like the ones in the picture below. I was really taken with the black boots with the glittery heel. I can feel a trip to my local Matalan coming on. The team left early and I wish I'd had a chance to speak to them as they seemed really lovely but as I saw them as soon as I arrived I didn't stay around them for long. Hopefully they will be at the next one and I can speak to them more then. I've been a loyal Jet2 customer for a number of years and I've got 2 Jet 2 Holidays booked for later this year so it was lovely to meet the team and I attempted to enter their competition to win 2 flights to the canaries but then I realised I don't have a competitive bone in my body and kind of gave up. It was at the point I couldn't make Plasticine hair and the guy from Jet2 had to make some for me!!! The idea was to give Holi their mascot a make over to star in their advent calendar - meet one too many sangrias Holi not coming to an Advent calendar near you EVER!! I know I keep saying this but it's true, I really enjoyed chatting with Lucy from Carnival. She was really passionate about her company and it was nice to hear about some of the things they are planning away from the family side of cruises. She also gave me sweets and a travel mug so that's always good. I've never been on a cruise unless you count a mini cruise from Hull to Ze Bruge in the mid 90s. Sometimes the best idea's are the simplest. Stag Bakeries have brought out sweet straws, they also have the more traditional cheese straws and kelp water biscuits. My favourites were the Blackberry and Basis sweet straws. They are the darker ones below. I've got some Raspberry and chocolates ones from my goodie bag that i'm still to try. Another of their products which I think is worth a mention is the Christmas Cake which would be lovely as a gift for a Christmas cake lover, this is stocked in Waitrose and is more of a present than a buy to eat yourself type product. As always there were a number of other brands and PR companies. The lovely people from Portland Street, Laura from Party Delights, A whole host of toy companies, Canvas Holidays and they had a competition to win a holiday and it was won by my friend Jenny from The Brick Castle. Sarah from A New Advetures in Baking also showed me how to decorate a christmas cookie. A picture of my handy work is on my Instagram account. While we waited for the keynote we took full advantage of the table decorations and I adore this picture of myself and Rachel, it was lovely to see her and she shares my love of pens and planners and it was good to spend some quality time with her. We started with a Key note from Liv's recovery kitchen where she talked about her recovery from addiction and her plans for the future. When it came to the sessions in May, I made some wrong choices, I felt quite overwhelmed at that event but this time I was so much more relaxed. I didn't have one of my moments. I went, I enjoyed, I didn't get overheated and I picked some good sessions. As I've said a 100 times during my blogging every day in September posts, I'd fallen out with my blog but from this session which I'm ready to make some changes and as I write I have plans. I need to do some research and checks but there will be changes to seeing spots in the new year hopefully. Michelle who ran the session was really approachable and came across really well, she's also supplied hand outs with practical exercises to help us see the direction we should be taking. It was in this session where I may have decided or at least confirmed seeing spots needs a name change. The idea I came up with isn't perfect but it's on the right lines. After the session I commented on a post in a fb group and she replied offering support and advice which was lovely. Who knew a Venn diagram could be so useful! There is also going to be a online course coming soon. The details to pre-register are on her blog. I'm not sure if this will be a paid for course of free but I think it's worth looking into if you're feeling a little meh about the whole blogging thing. I'm determined to work harder and get my channel going and I'm going to make more effort with my thumbnails. I didn't go to the third session, well I did but I nipped out as I needed the loo (TMI?) and used the time to chat to some of the brands and speak to friends. The last session had three interesting sessions and I was torn which to go to but decided to go to the Instaram one and I'm glad I did. It wasn't revoloutionary stuff, all common sense but it was from 2 persepctives and I picked up different tricks and my followers have grow by about 100 in a week. It took me months to hit 1200 followers and over the weekend it hit 1300! I had great moment of self doubt with Instagram, I worry I'll piss people off but you know what it's my account if they don't like it then they can jolly well unfollow me. I'm not going down the route of creating themes but I am going to work on the quality of pictures and I'm going to refrain from spamming unless I'm at an event and I am going to use hashtags. The session was run by Colette and Kate, they both had increased their following in the past 9 months. I was at an event where we were all talking her into getting IG around 2 years ago and I felt really inspired by how far she has come. It wasn't a case of I must work harder but more a case if I make some small changes I can enjoy it more and increase my following. They made us all smile and they did a little dance for my vlog but I hadn't pressed record. I'm so sad I didn't capture that footage. I had such a lovely Sunday surrounded by amazing bloggers, I felt like I had time to chat to bloggers I could as friends, people I've only spoke to online and even some new people. Sadly I can't remember name and blogs but Hello if I spoke to you. As always a huge thank you to MSI, they are great hosts and catered a delicious Christmas themed lunch, with little pies, quiches, turkey and stuffing sandwiches, pigs in blankets and roast potatoes. It was delicious and I really enjoyed my lunch. I always come home with a camera full of pictures taken in the lift, I need to arrange a day to look round the museum itself. If you looks back at all my old BlogOn posts you will more than likely find that I've written the same and these photo's might look familiar! There are also celebrating the Manchester Science Festival over the October half term and it looks like there are a number of exciting events on so if you're in the area it's well worth checking out. I'm going to have a look at events that don't require the need for children and see if I can make it to any events. The events are all across the city not just at MSI itself so might be worth seeing if there is anything local to you if you're in the North West. Once again a huge thank you to Laura as always you've put on a fantastic event. Arranged amazing goodie bags. To be seen to be believed, Once I unpack it all I will show you it. Laura couldn't do all this on her own, she has an amazing network of support, from the bell ringers between the sessions, people to help pack the bags (Thanks Jenny & Sim) Alice who co-ordinates behind the scenes and provides us with epic train stories as she leaves us in the North. I feel like this is a bit of an Oscars speech but it's needed. Everyone who is involved needs thanking! 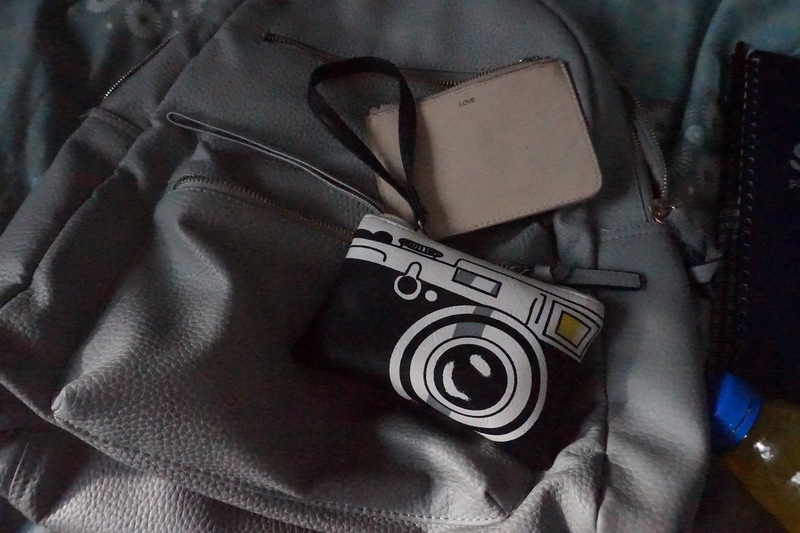 It's the penultimate day of my Blogging Every Day and I can give you a spoiler alert. I've offically done it. The last post is written and scheduled and I've surprised myself. I feel proud that I set myself a task and stuck to it. I planned and prepped and I bloody did it! Yay me. 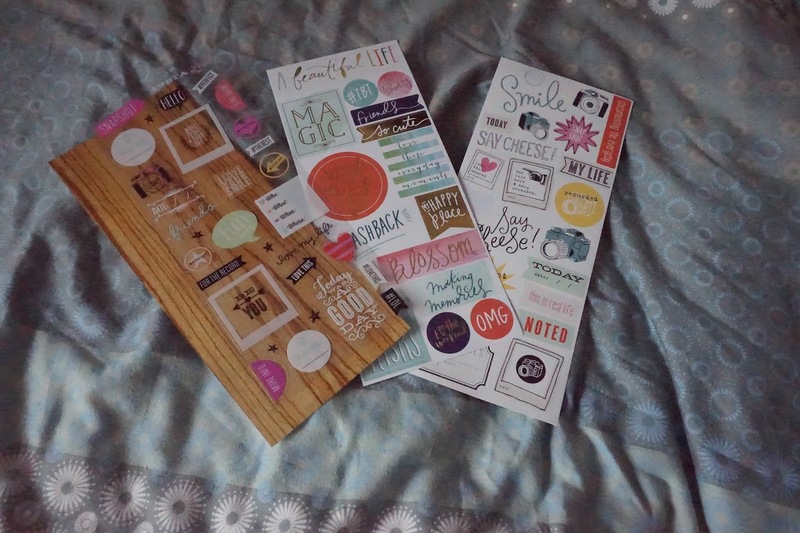 I picked up and planner and then spent a fortune on stickers! I thought i'd share with the the ones I picked up. I have got another set up as that was quite a large order I might save them for another post. I grabbed these three sheets of Happy Planner stickers and they are really nice quality. 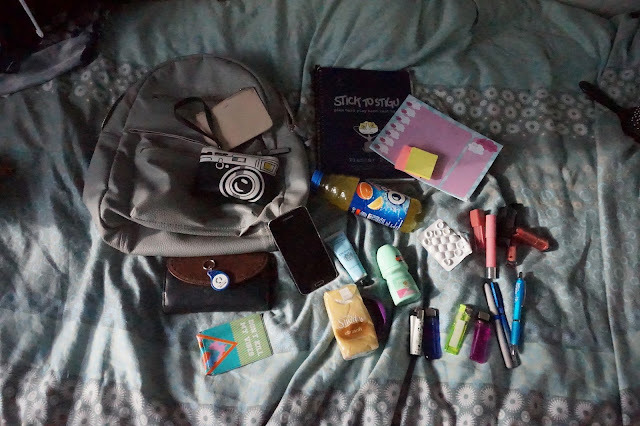 I feel like they are a bit big for my planner but I have managed to use a couple of them and I'm sure I can fit them in and make use of them. I also lost three days looking round Etsy, it is awash with stickers, insert and there are lots of discount codes. 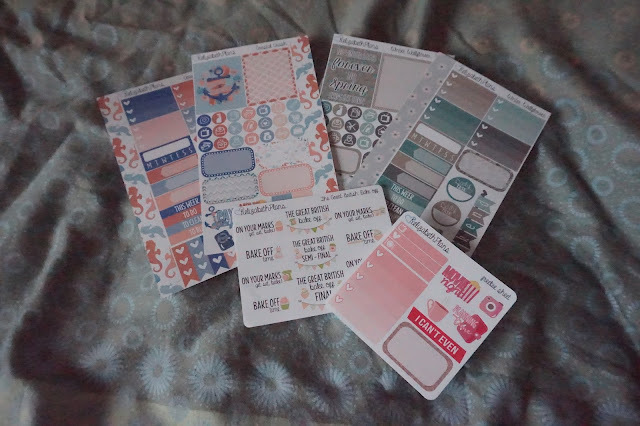 I bought a mix of personal planner (Filofax sized) stickers as well as Erin Condren sized stickers from Kelizabeth Plans and these are really lovely quality matte stickers. 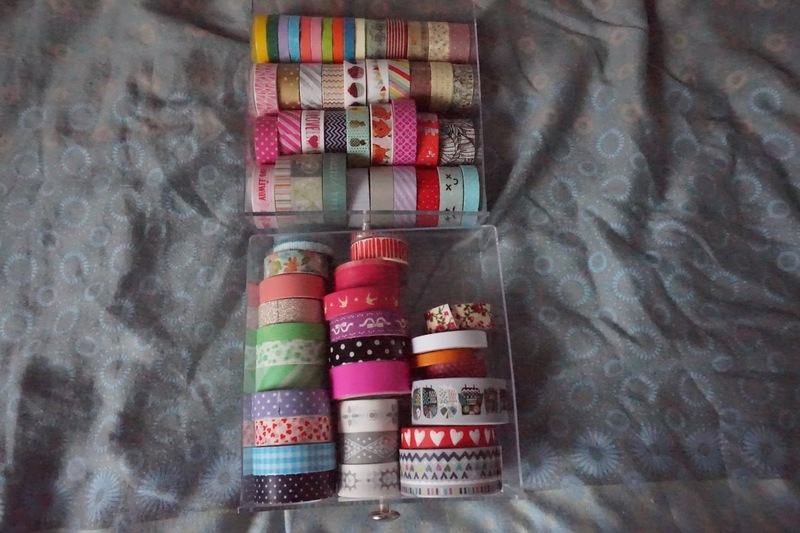 Again they are not a perfect size but I can make them work for my planner. 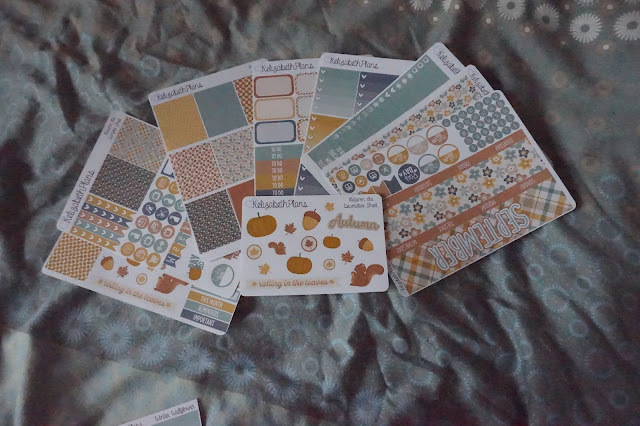 I adore the colours of the September pack and there was more sheets than I remembered but it is right I have double checked. I don't want to go down the route making no white space spreads. I want my stickers to compliment and not over complicate things but I think they have added to my sticker love. The end is in sight, I can see it on the horizon and my Blogging Every Day challenge is drawing to a close. October brings, Sun, sea and shopping rather than the usual cold but sunny days, leaves changing colours and the nights drawing in as I'm going on Holiday to Lanzarote. This is a tough one for me and is one of the prompts I got from Pinterest. Years ago when I was about 20 my friend bought me a book to write quotes in and I did write lots in it but I have no idea where it is. I did write in it weekly and read over it often. I like movies some people think are a bit odd and obscure and I think a lot of people expect me to be a RomCom kinda girl and while I like those my favourite ever film is Buffy The Vampire Slayer followed by Battle Royal way above Bridget Jones Et Al. 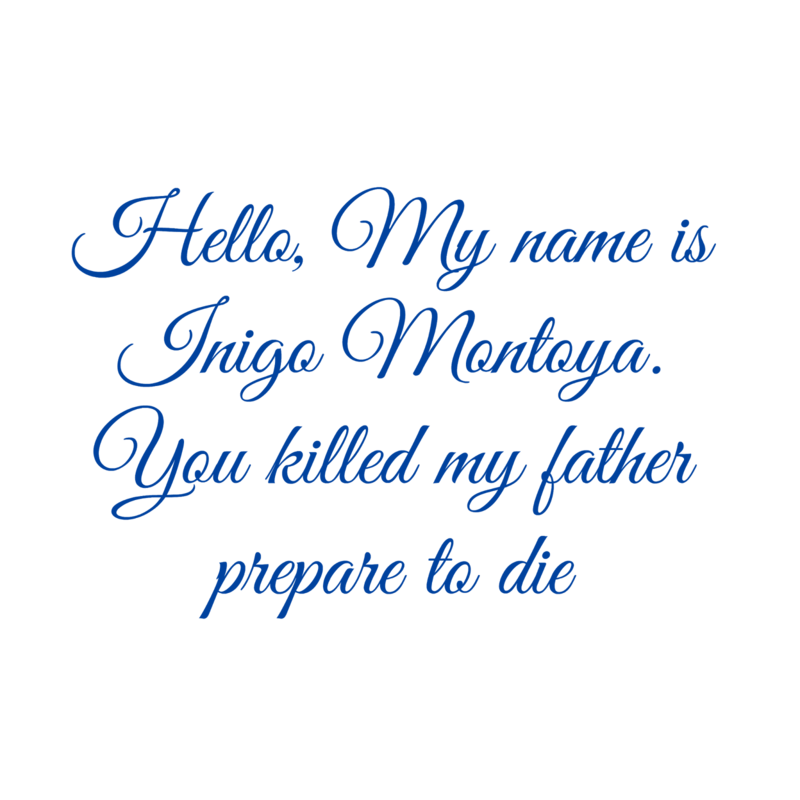 You killed my father prepare to die"
I don't know why this is my go to mantra, it's a bit like Jingle Bells is my default ear worm. 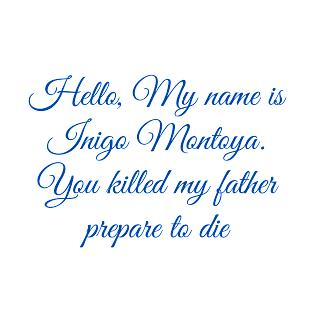 I often say this to myself followed by "As you wish".I know they don't go together in the film but they are a default to me. 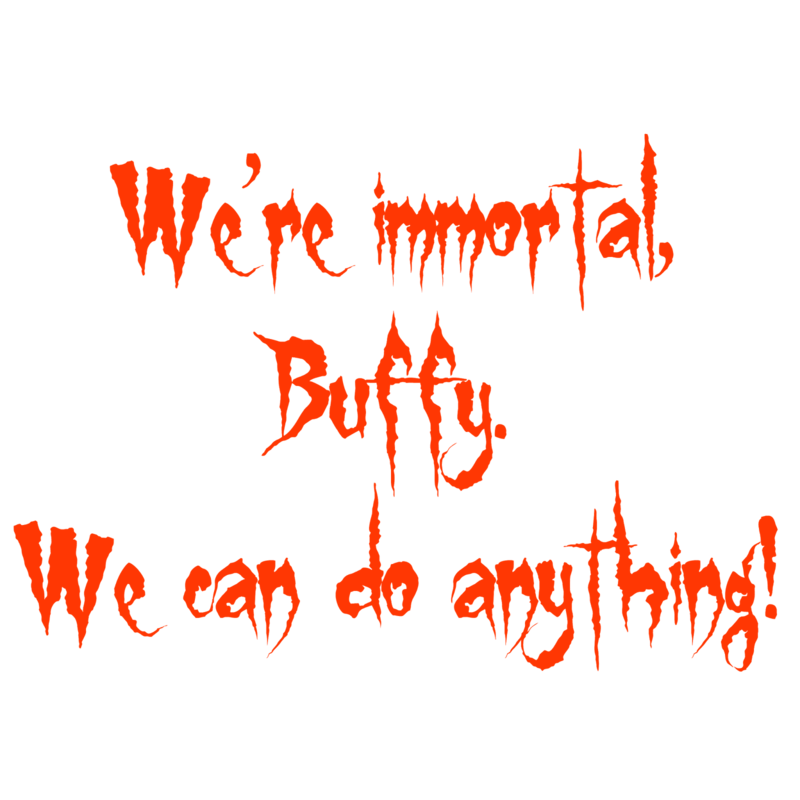 Amilyn: We're immortal, Buffy. 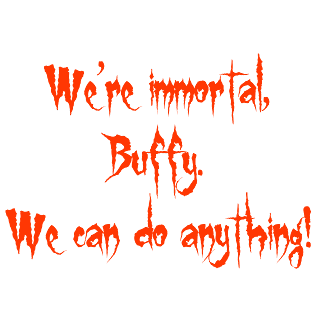 We can do anything! I guess when it come to other quotes, there are lots of classics which can be seen as somewhat cliche but if you like them and they make you feel happy and uplift you. 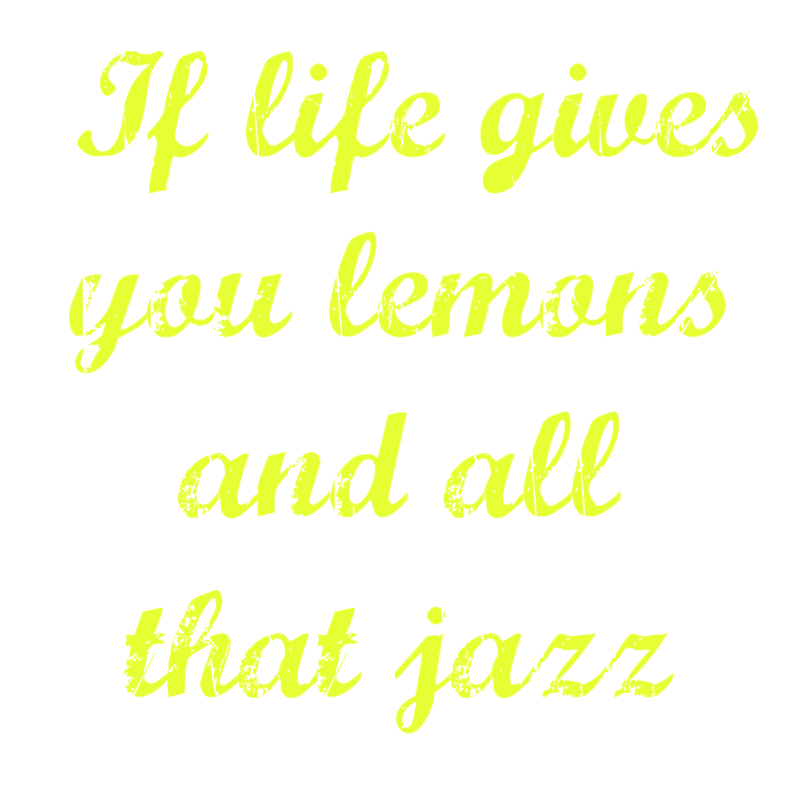 If life gives you lemons and all that jazz, I may have made this one up, or it might be another mashup I made in my head. It also might be one cos I'm a bit lazy and like to think i'm a bit funny! Hope you've enjoyed a few of my favourite quotes. I'd love to know yours. 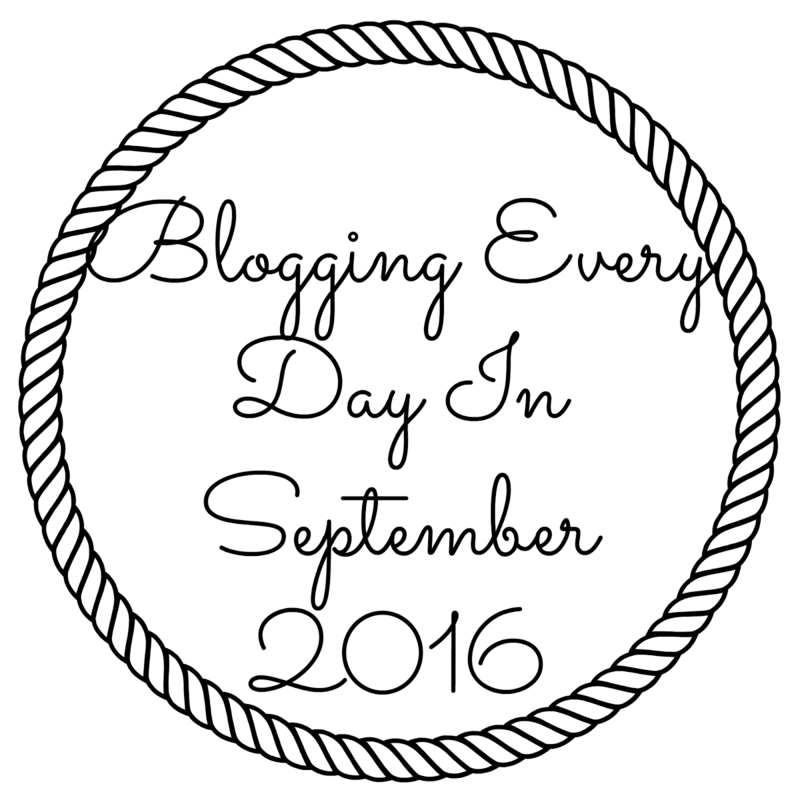 I'm currently Blogging Every Day in September 2016, plugging my way through a set of prompts I've set myself to encourage myself to blog more. I'm not sure where an app starts and a website ends so I'm going with an app meaning the most used things on my phone. 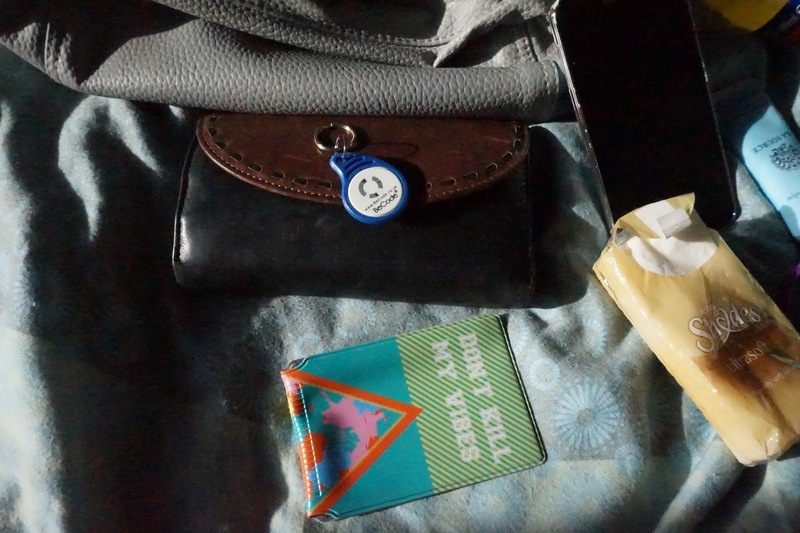 These might not be things I like (they probably are). I have a nice little pattern. I check in no particular order Twitter, Facebook, Instagram,YouTube. I then do a circuit about 3 times before I settle on one to look at. Facebook - Is another love to hate, hate to love app for me. I use it, I scroll, I sometime like things but I've hardly updated it other than things that auto post. I am in a few groups which I do interact on there and when i see my facebook memories, I think I should post more! Maybe I should start interacting on it a bit more. I also want to start using my blog page more. Instagram - My favourite, I am very visual and I haven't really noticed much change since the algarhythams have changed but I started the account to use in conjunction with my blog but I use it for random pictures of everything. It isn't one of those pretty IG accounts. Its just a true account of my life. I also have a second account which is for my Slimming World stuff. I also play candy crush soda saga and pet rescue saga. I'm rubbish at both but they are a bit addictive. I might have also had a little dabble with Pokémon Go but I've got to level 20 and given up! Hello, How are we today? Have you been enjoying my Blogging Every Day challenge? I keep saying challenge, is it a challenge? Is it a mission or what is it? I really don't know. When it comes to washing my face I'm a little bit over the soap and glory products I've been using for a while. I made an error buying such large products, I've also been mixing it up using some sample size facial scrubs and face washes. 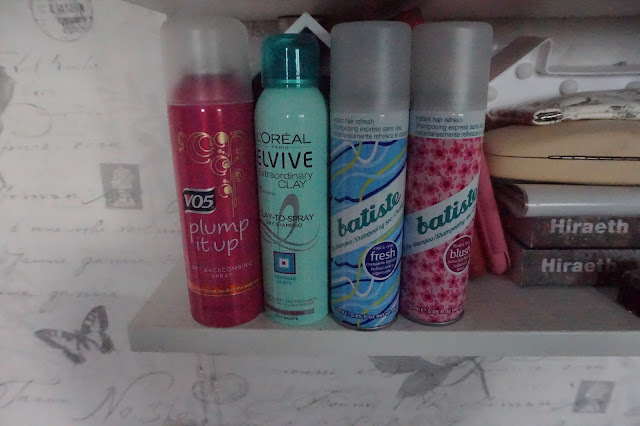 I only use these when I have a shower. I'm sure a few beauty gurus will be horrified about washing your face in the shower but it is what it is. 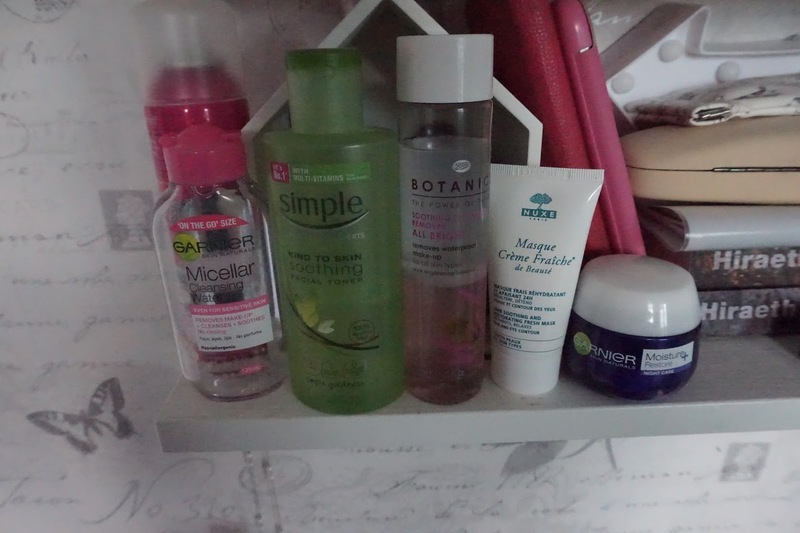 Ganier Micellar water - I'm almost out of this bottle and I've got a Botanics from boots and a back up. I used to love the Garnier one but this bottle doesn't seem as good as I remember. It almost feel a bit like toner. I was previously using the Botanics one which I really liked. My Eye Make up remover is also from Botanics and this is also a repurchase. It's not like me to be loyal to brands but the older I get the loyaler I'm becoming. 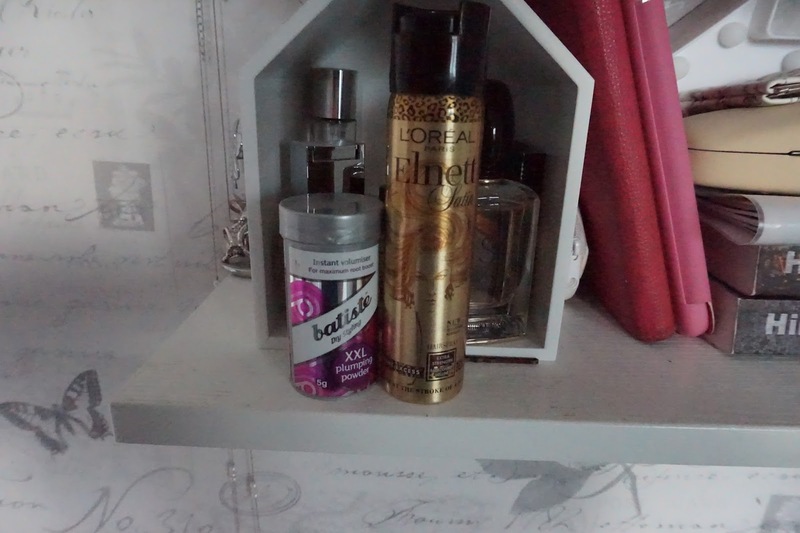 I feel like toners have really gone out of fashion and I've been struggling to find one. Have they got a new name? What am I missing? I picked up the Simple Soothing Toner up from Sainsburys and it's not great. It is really gentle, so gentle it feels weaker than the Micellar water but it is refreshing and because it's so gentle when I forget myself and wipe it over my eyes it doesn't hurt. 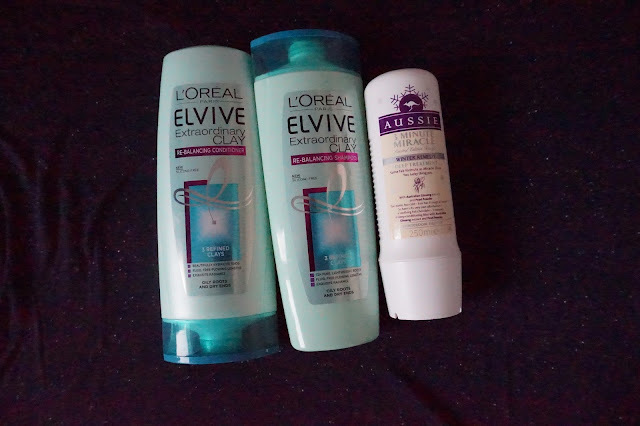 I haven't got a current regular day time moisturiser as I've recently used up one and I haven't dug out a new one. 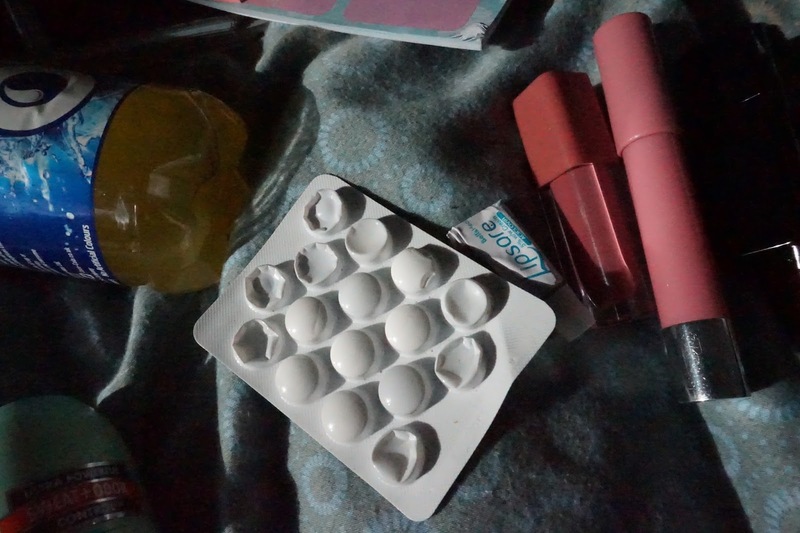 But the night moisturisers I use are really rich and I don't feel like I need one in the mornings. A long standing favourite night moisturiser is the Ganier Moisture + I've gone through countless jars of this. You can almost always find it half price and I love the texture which is cross between a cream and a gel. I also use the Nuxe Masque Creme Fraiche I only use this once or twice a month. I apply a thick layer and leave it to soak in, It sometimes leave a bit of a residue but a quick swipe of toner will clear that. This is my 3rd tube and I love it. It's pricey but I've always got mine in Beauty boxes or as a free gift when buying a beauty box. I would pay full price for it. I have to say I'm really enjoying using my Eccolo Planner but I am using it more of a scrapbook than a diary. Is this the right way to use them? 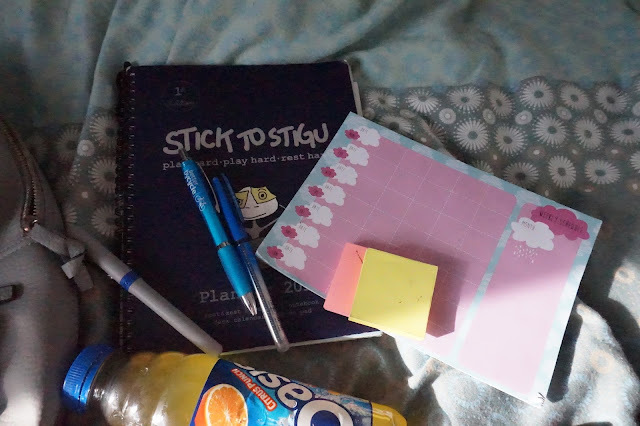 I'm sure there will be more planner related posts as part of my Blogging Every Day journey. 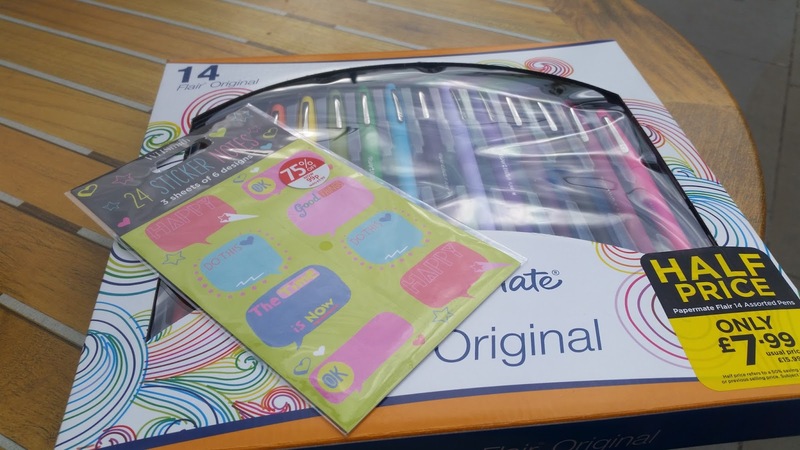 A good few weeks ago I won a giveaway from Beth's YouTube Channel and she's included some Papermate Flair Pens. 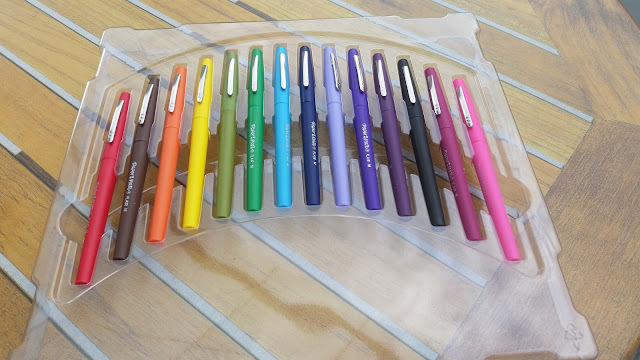 I've not used these pens before and I was really impressed with them. They are medium, almost felt pen like nib, but with more control if that makes any sense. I popped in to the Arndale after work to raid home sense for any random planner supplies but other than some royalty inspired washi tape which I passed up and stamp related items which I have lots of and don't use at all. (I should do). 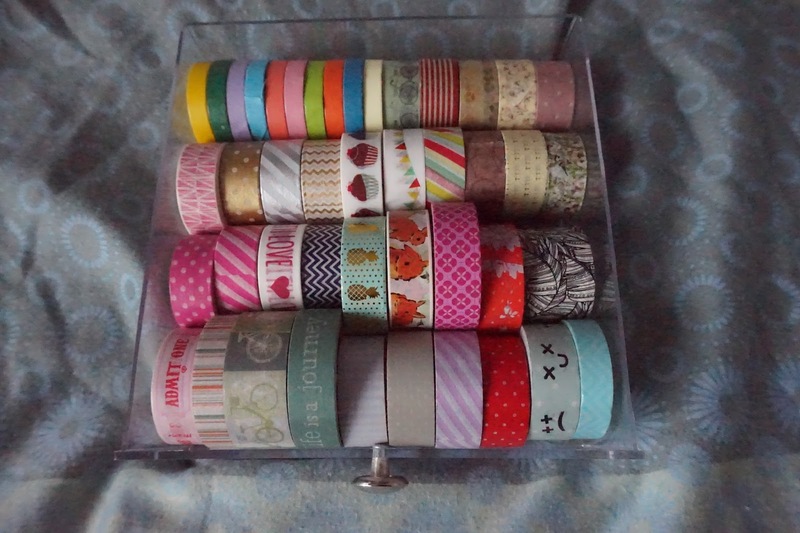 I got them from WH Smith and they where £7.99, I also picked up a packet of stickers for £0.99. It says 24 stickers but it also says 3 sheets of 6 sticker designs. I'm not sure how that works as 3 times 6 is 18. Lets not quibble, I'm sure all will be explained when I open it. The reason I picked these up was because on some of the pen packs it had £7.99 when purchasing anything else in store. I couldn't face getting to the till to be told they were really £16 and panic buying something else and not really saving anything. One thing I will say is that there was a lot of unnecessary packaging. I tried to get the box in my rucksack and if I didn't carry half my life round with me. I nipped to Costa in Next and made use of their outdoor tables as a bit of a backdrop. I decided to ditch the packaging in town before I made my way home. I'm now wishing I'd swatched them just in case any don't work! 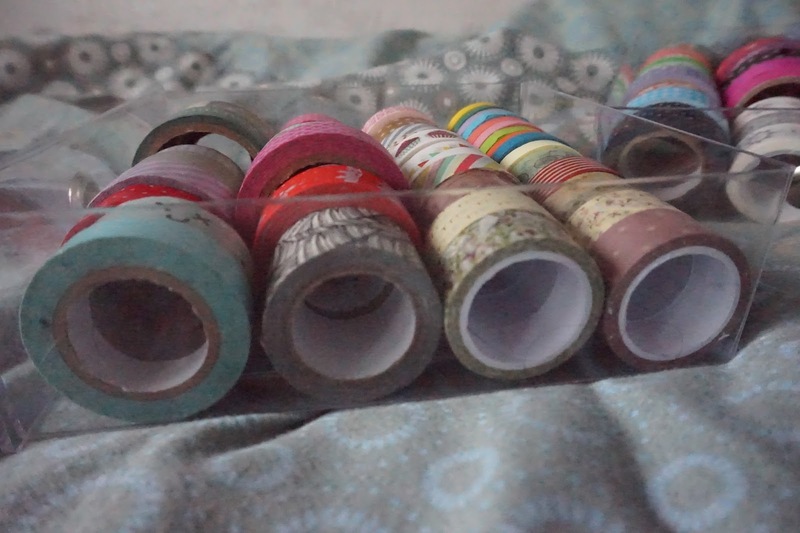 From the colours I already have I might have 3 duplicates. The orange, light blue and possibly the dark pink, I haven't compared them yet but it's a lovely shade so i'm not bothered, plus I might pass them on. 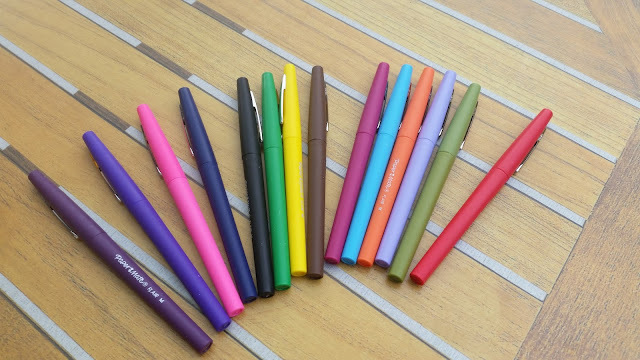 What I like about these pens is for the ones I already have they didn't bleed through my planner which hasn't got the highest quality paper. I mean it's not bad quality but don't even think about using a fine sharpie near it! I'm not as confident with the darker colours but as I'm using quite a lot of stickers they will be fine to use on them. 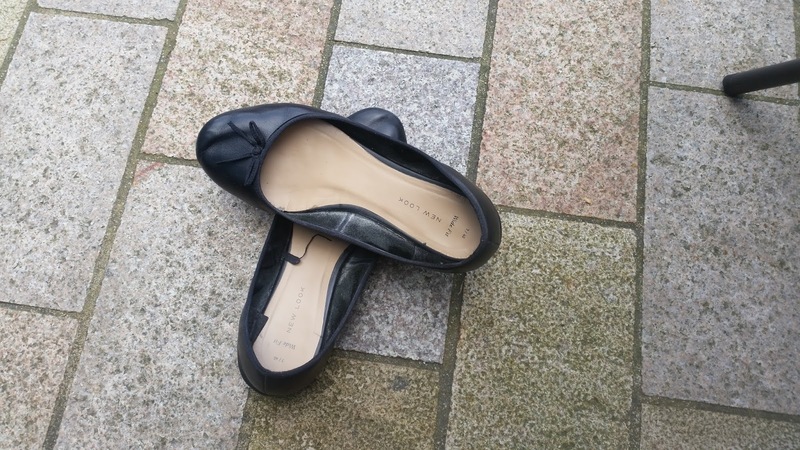 Today I'm feeling frustrated as part of this Blogging Every Day challenge I wrote this post as one of my first. However a couple of days a go I decided to go back through and add tags to photo's and someone I managed to duplicate another post instead of my shoe post. The title stayed the same but not the content. So here it goes again. When I find a pair of shoes that fit and are comfy I will wear them until they fall off my feet. I don't do heels, anything above 2 inches and my feet ache just looking at them. 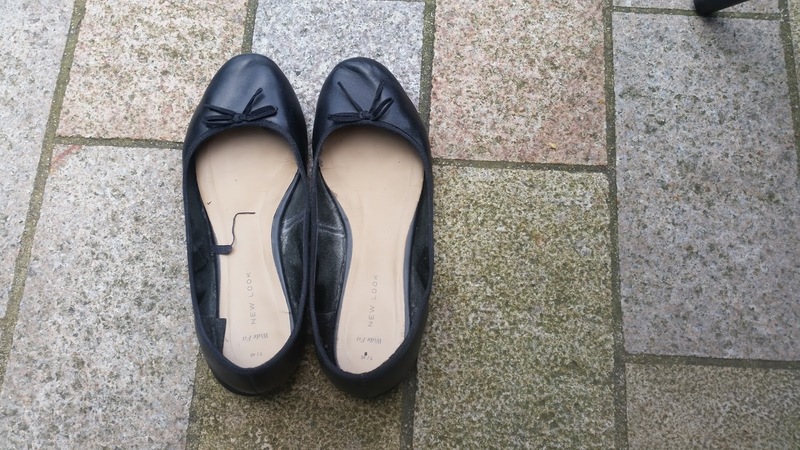 Ballet flats are my go too shoes for work and I picked these up for £3 marked down from around £12 in New Look a few weeks ago. They are leather and I have a feeling that they had the wrong price on them. They are super soft and despite not being the most supportive they are the comfiest flat's I've had in a long time. I've been wearing these for about 2 months non stop and I like them for work and with my jeans at them weekend. They might not be the prettiest but they are my go to shoe of the moment. 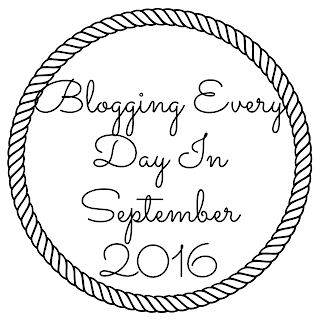 Are you following my Blogging Every Day in September challenge? I really think September was a good month to choose to blog as I've had a lot going on, so as well as a lot of the prewritten fluffy post I've also been able to include some "LIVE" written on the day for the next couple of days posts without feeling rushed. I still don't really know how people feel about that but I guess unless I'm told I have no idea if a post has just been written or if it's 3 weeks old! Last Sunday I went for Afternoon Tea with three of my friends to The Vintage Cupcake Kitchen in Uppermill, Saddleworth. It's not too far from where we all live and somewhere I've wanted to try for a while. The shop has recently been renovated and extended into the next door shop and I think this makes such a difference. Inside is light and bright and I felt like we had plenty of space as we had two babies and buggies with us. We started with cold drinks, I had a Strawberry & Raspberry with cracked black pepper drink. I can't say I noticed the pepper but it was delicious. Afternoon tea for the 4 of us came out on one big stand which was good as it saved us a bit of space on the table. The only thing I would say is only one of us is vegetarian and all the sandwiches were veggie (egg and cream cheese) but there were pork pies. I'm not sure if we should have had other flavour sandwiches or if this is standard. They were really fresh and tasted nice and we all like these sandwiches but I would have expected ham or salmon sandwiches. Not sure if that's just me. Egg sandwiches on granary bread, Cream cheese and cucumber on white bread. Pork pies and pickle. White rolls with sun dried tomato and cheese (almost pizza) and very delicious. Lemon loaf, Mini cupcakes with glitter, Blondie Brownie bites and chocolate dipped strawberries. Scones with fresh raspberries, cream, butter and jam. Everything was delicious but if I had to pick a favourite it would have to be the blondie brownie bite which had big chunks of chocolate closely followed by the sun dried tomato roll. It worked out at just under £23 each, in addition to the afternoon tea had 2 soft drinks each and we ordered coffee instead of tea and I didn't notice if we payed extra for that or if it was included in the price. From what I have seen on Facebook they now only do afternoon tea at weekends and it has to be prebooked. We didn't see the regular menu but from the tables around us everything looked nice and I'm planning on taking my mum in a few weeks. We had lovely couple of hours putting the world to rights, followed by a walk round a craft fair and a trip to a stop called Authentic where I treated myself to a couple of bits but I'll talk about them in another post. 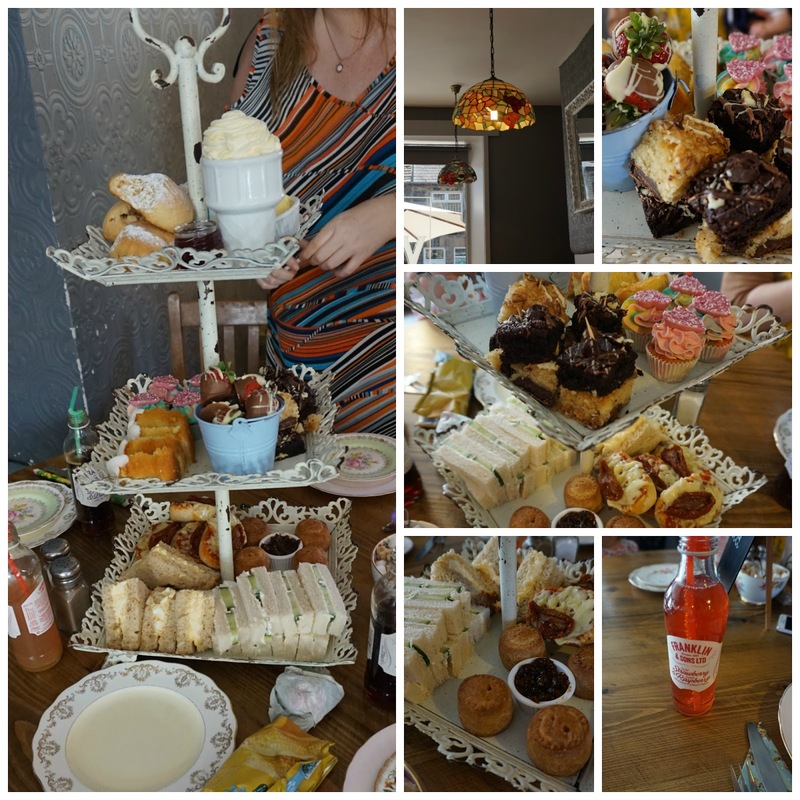 Have you been for afternoon tea lately? have you got any recommendations?